Ok, so where did July go??? I wanted to let you all know that I may be a little busy over the next few weeks. Great news, it is all to do with sewing/quilting. Over the weekend, after finishing another quilt top, I laid out all my UFO’s….quilt top finishes. 3 of the quilt tops were finished in the last 3 months, the other 3 in the last year. To add to the pile, I have at least 2-3 additional quilt tops in the works; one of which, is the Neighbourhood Quilt. 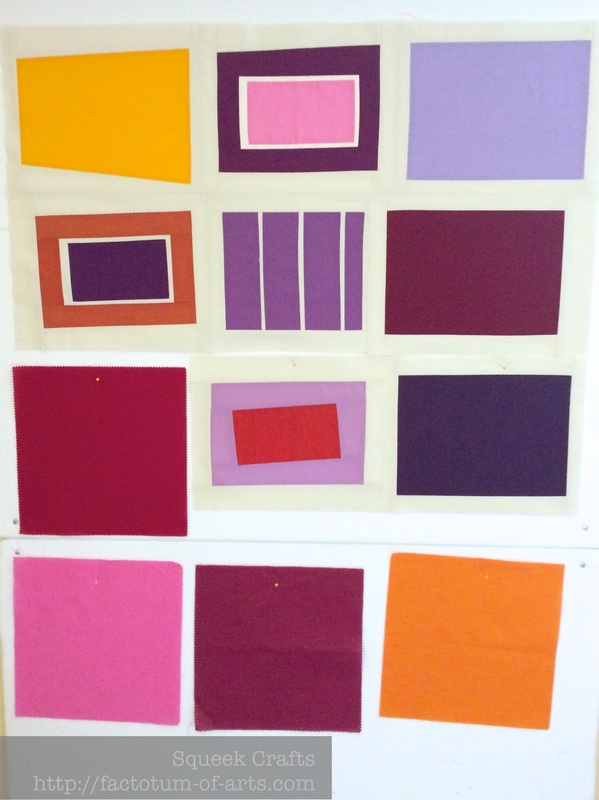 I have started the 3rd row, and decided on all the Oakshott Cotton colors I will be using for the other blocks. 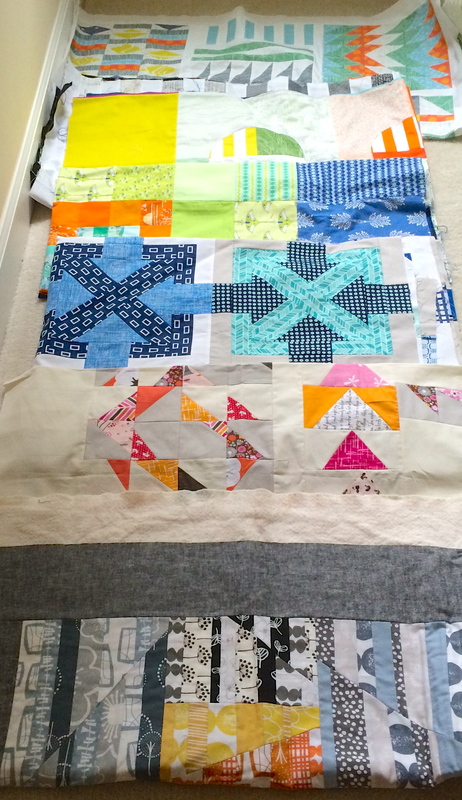 Finish two other projects (they are a secret for now ;-)) – cut, piece, top, baste, quilt and bind. I plan to continue doing some of my usual posts WiP Wednesday, QDAD on Thursday, Finish it up Friday and Sunday Stash, they just might be a little intermittent. Don’t you hate it when those projects sneak up on you :-). Linking up with Lee over at Freshly Pieced for WiP Wednesday and linking up with A Lovely year of finishes (see buttons on the right). This entry was posted in Uncategorized and tagged ALYoF, Neighbourhood, quilting, WiP Wednesday on August 6, 2014 by mlwilkie. Can’t wait to see the finished “neighborhood” blocks. A stack of quilt tops! How fun! But for me, the quilting is the best part and gets done right away. It seems like you enjoy the design and build parts the most.